This little celebration is unusual. Podcasts popularity is not spreading as quickly as social networking. 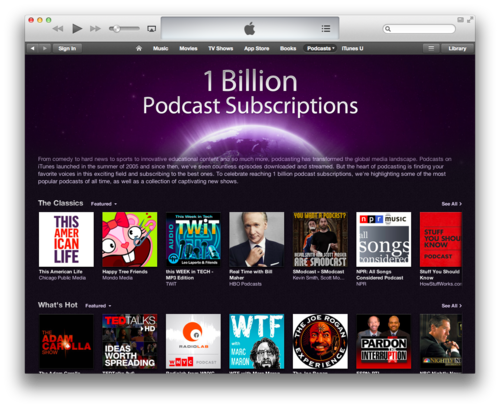 Apple has no profit from podcasts and no expense either. That’s the reason Apple do not care about podcasting a lot. Which is fine, because what’s making Fruit Company tick is a great focus on few things.